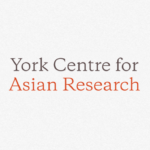 Sanjukta Banerjee is a doctoral candidate in Humanities at York University. Her research interests include intersections of translation and travel writing in colonial India; alternative perspectives of colonialism; language and mobility. Her current research focuses on eighteenth and nineteenth-century French travel writings on India.